I have been quiet on the blog of late. Life is busy around here as usual. I do have a beautiful quilt to share. A new baby always creates such excitement. With gender unknown, the brief was to fit with the nursery. I suggested a few things, and got started. A simple pattern, by Suzie Fry. 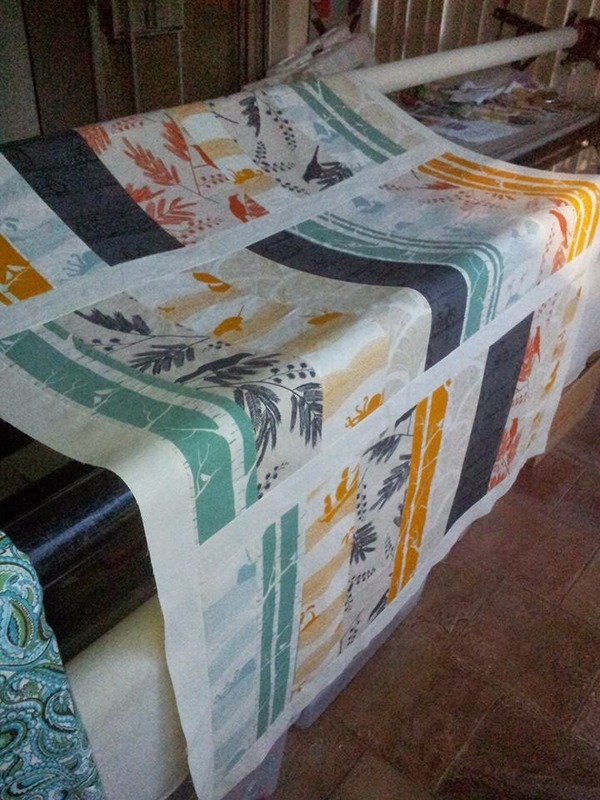 These are lovely weight fabrics, with gorgeous prints of trams, bikes, birds, trees and boats. Some of the motifs I have outlined with quilting, others I have quilted organic straight lines through the block. The sashing needed a more over all treatment, so I quilted straight lines, a little closer together to gain the texture required. This really frames the fabrics and lets them shine. Binding was a black with a hexagon tone on tone pattern. It has a bit of a shine, and finishes the quilt beautifully. The backing was a paisley print which has been in the stash for a while. That perfect piece, picked up, and waiting for this quilt. It hides the quilting from the front, and also will not pick up as much dirt, when used on the floor as a play mat. I might have to make another quilt out of Ink and Spindle fabrics, and keep it for myself! Lovely quilt! Those colors and fabrics will be so fun for a baby to look at, and the quilting adds such a nice texture! Ooh, it's beautiful! 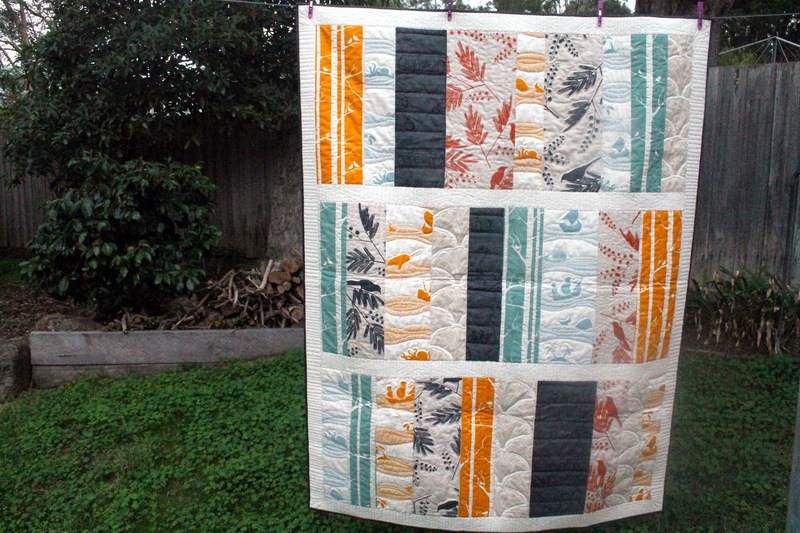 I love how you combined different quilting motifs for the different fabrics. Very lucky baby!